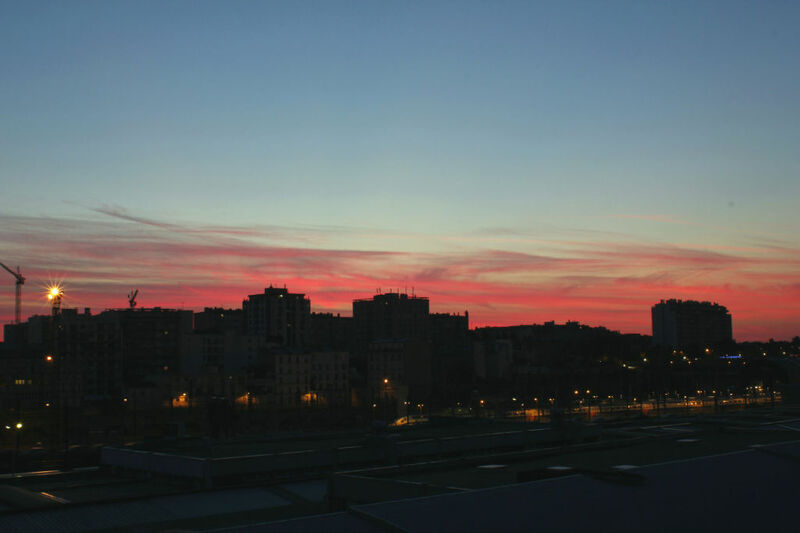 When I woke up to this sky in the morning in Paris I was comforted by the stillness and peacefulness. Another spectacular day ahead of me:) Paris has a charm different to that of Nice or Avignon. Of course it is one of the biggest holiday destinations, so you see touristy places full of crawling people. Then you take a turn to narrow side streets and find yourself away from the hustle and bustle. So easy to get lost. 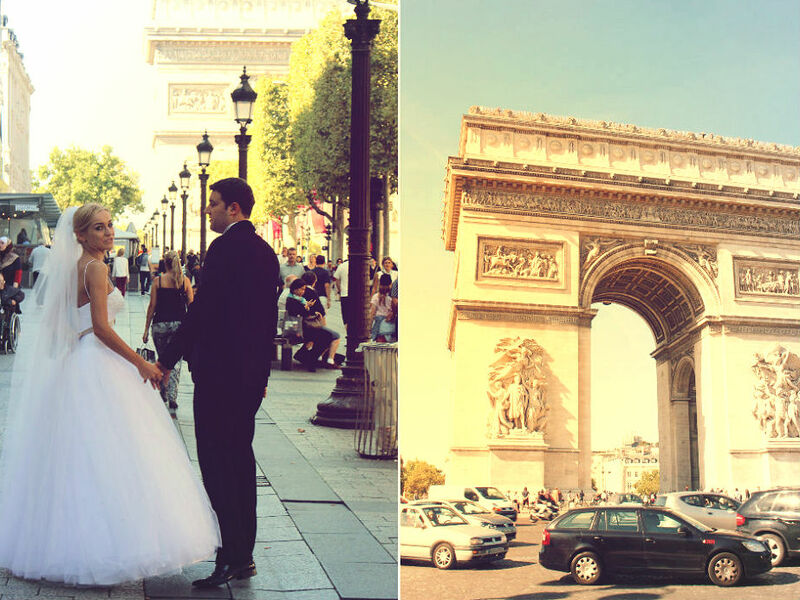 Oh I never walked this much in my life >.< We walked average 20km a day while staying in Paris. Cobblestones look pretty but not that great for my feet. I strongly recommend to take super comfortable walking shoes when going to France. We started walking along the Seine to say a quick hello to Eiffle tower on the first day. 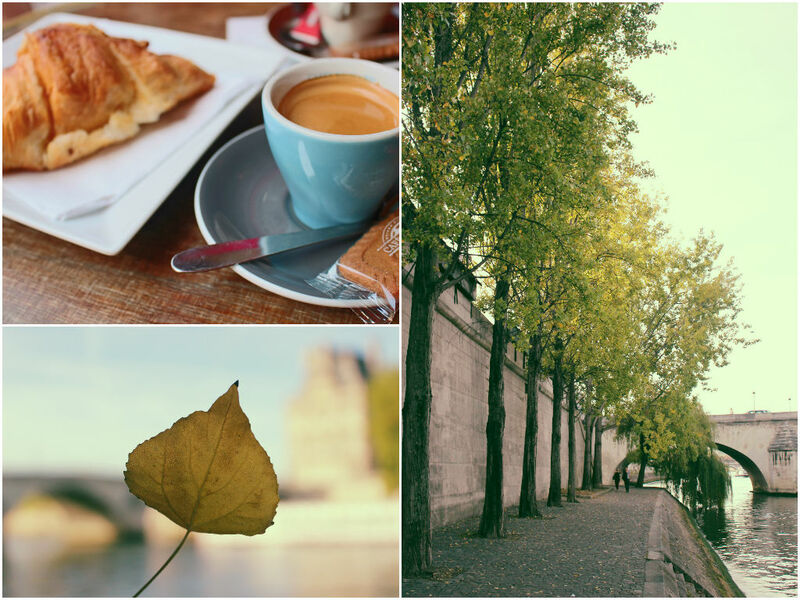 Oh I so enjoyed pretty Autumn colours in Paris – yellow and red colour-changing leaves, beautiful sun and cool breeze. 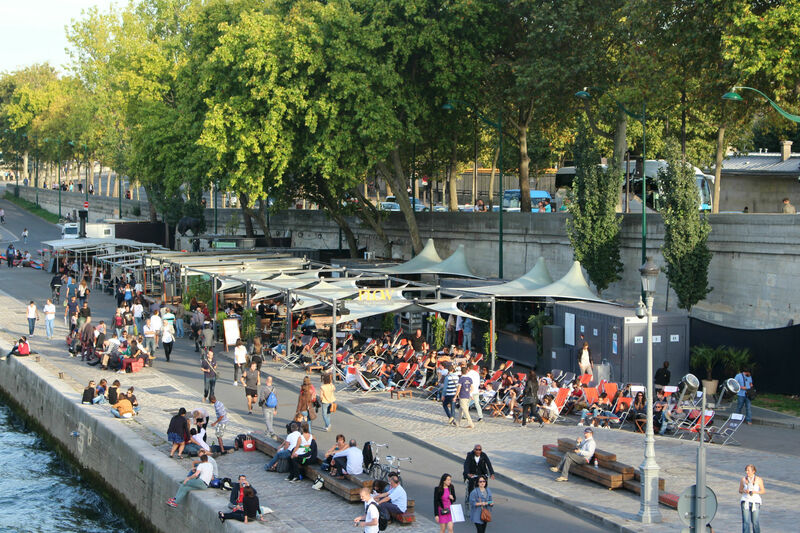 People were casually having a sunbath and drinking French wine along the river. 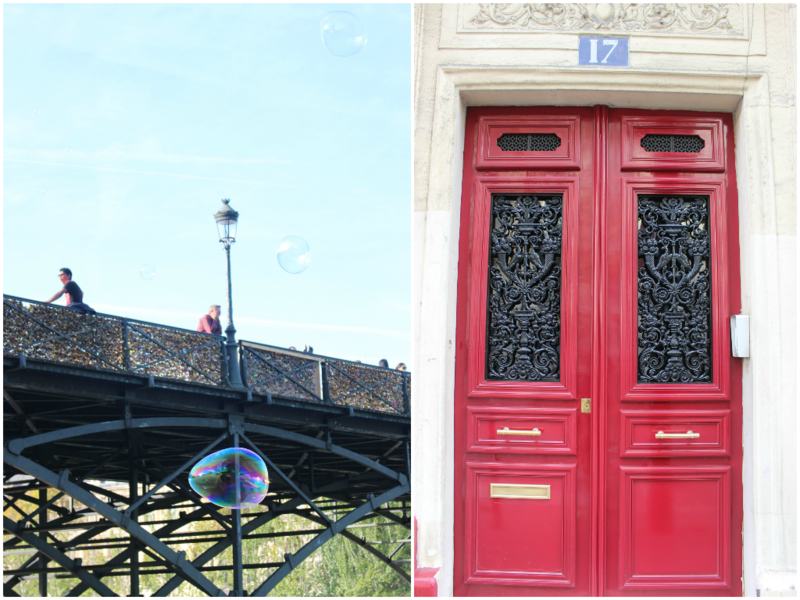 These love locks have gone viral all around the world, even on these old bridges in Paris. 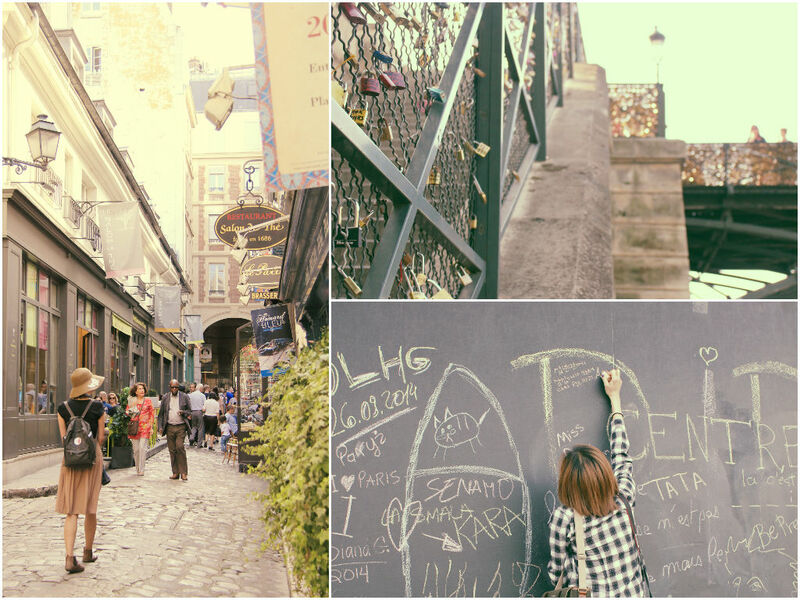 Unstoppable lingering thoughts – what kind of love story these love locks have, are those people happy now together, have they ever come back to find their locks again, how many keys are under the Seine? I wonder. 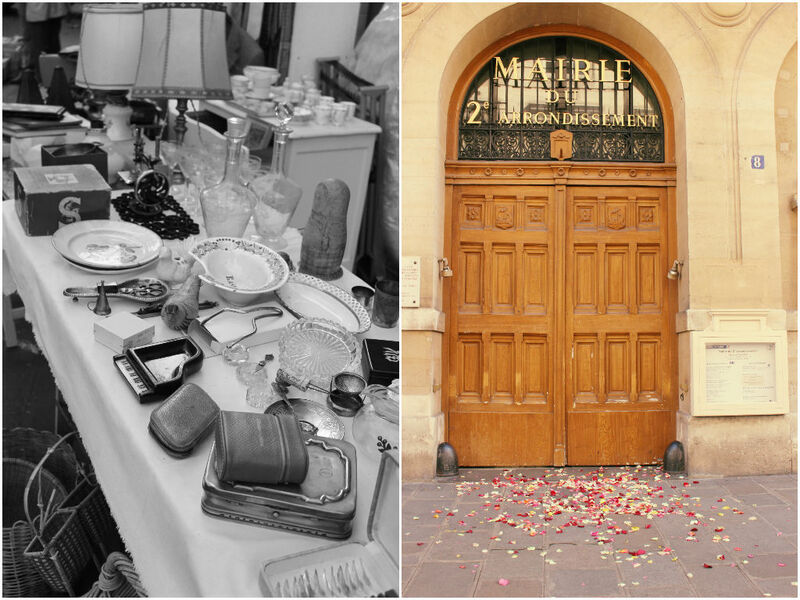 Vintage markets on the street, rose petals after the wedding, couples doing wedding photo shoots, cute little arcades… all the things that we discovered by walking, not using metro or bus. Sore feet were worthwhile in the end. 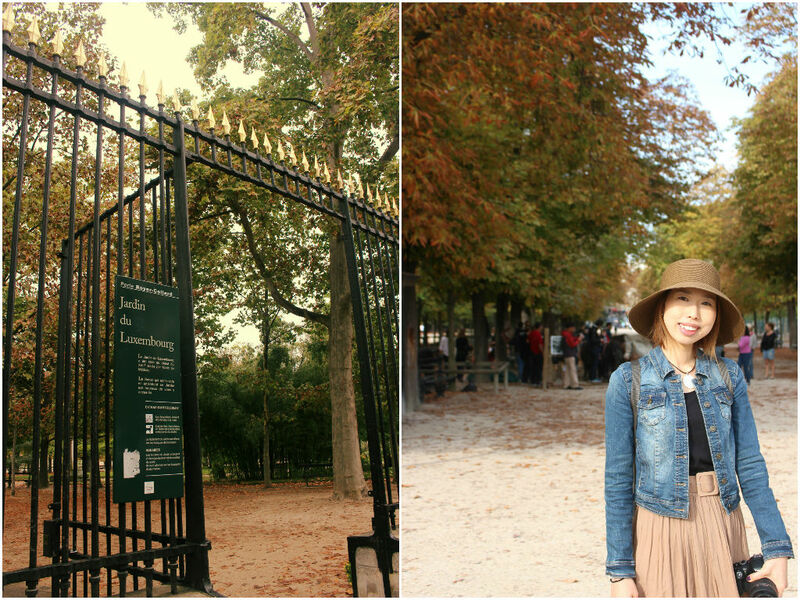 I absolutely enjoyed poking in and out gourmet shops and groceries in Paris. This restaurant was one of them, very hidden in the back streets. Why not stop for a quick dejeuner? 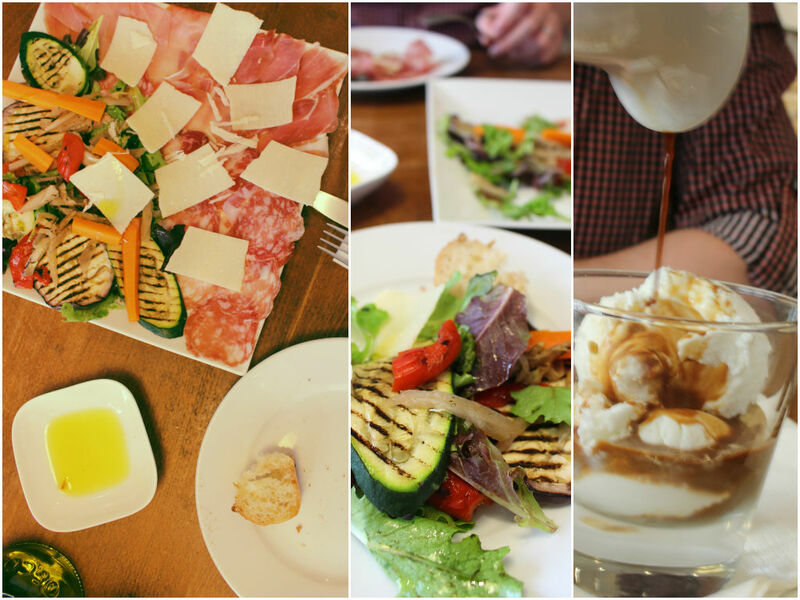 A platter of grilled vegetables, slices of cold meat, Parmesan cheese and a basket of baguette was simple yet delicious. Affogato was surely a nice finish to the amazing meal.